"Get More Exposure, More Visitors, More Leads, and More Sales"
Paid Search is the very first dollar that should be spent in almost every online campaign. Why? Because it allows you to connect directly with prospects who are "actively" searching for your products or services now. It also gives you the ability to track, optimize, and measure all parts of the campaign, down to the keyword, creating a great framework to grow significant ROI. And it's quick - paid search allows you to "immediately" reach relevant prospects in your targeted locations because live campaigns can be up in as little as three days. 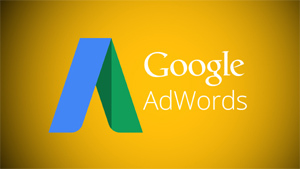 Whether you're looking to attract new website visitors, generate more leads, or grow online sales, Google AdWords is an amazing tool. At IWT, we're able to use hundreds if not thousands of keywords to connect you with your target market every day. Campaigns are comprehensive and include keyword research, ad creation, A/B split testing, bid research, bid management, extension applications, device segmentation, dayparting, remarketing and more to generate you quality leads and give you the most bang for your buck. Over a billion people use Facebook to connect every month. Now, based on incredible new demographic targeting options, we can get you in front of your ideal audience multiple times each week, all within driving distance of your location. Because of its social nature, Facebook advertising benefits you by allowing you to engage people where they're already engaged. You can target them by cities or zip codes, gender, age ranges, income levels, education levels, social influences, likes, behaviors and more. 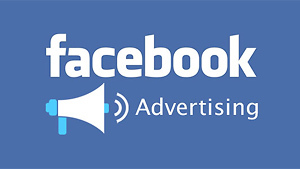 And Facebook's ad targeting accuracy is 91% while the average for all other forms of contextual online advertising is just 27%. Your ads are seen on both desktop computers and mobile devices, and viral reminders are added to encourage people to share your ad with their friends. Over 2.5 billion local searches are made every month now! 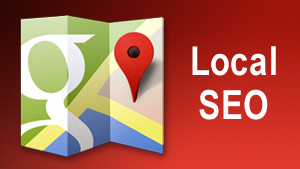 Local SEO is a service we provide that focuses on getting you in the most locally searched directories as possible and optimizing each listing to maximize your presence, impact and visibility in your local market. From Google MyBusiness, Bing Places and Yahoo Local, to top review directories like Yelp, to top directories used by mobile phones such as Yellowpages.com, Superpages.com, Citymaps, Topix and MANY more. We also get you listed in the top U.S. business databases like Dun & Bradstreet, Infogroup, Factual and others - the data warehouses behind the scenes that power 95% of online search. The more quality places people can find you, the more visibility, branding and business you will receive. If you could do one thing right now to drastically improve your lead generation efforts, it would be to use custom landing pages on your website. 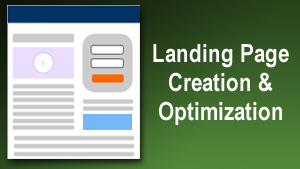 A quality landing page should be an indispensable part of your overall online marketing strategy. Once you've done all the hard work and spent all the money to get quality prospects to your website, the next big step is to convert them into leads for your business. What's the best way to get them to convert online? Quality landing pages. Unfortunately statistics show that almost half of all clicks from paid advertising campaigns direct visitors to a home page or a generic page, not a custom landing page. We have proven lead generation landing pages we use with all our paid advertising campaigns, and combined with custom tracking and analytics, we'll help you turn a larger percentage of your new visitors into hot leads for your business. We set up a free initial phone consultation with you, during which time we'll get to know about your business and what you're looking to accomplish marketing-wise. We will also gather the pertinent details needed to begin our research as well as answer any questions you have. After the consultation, we begin the research phase. That includes researching local online demand, keyword phrase opportunities if applicable, do some competitive analysis on your top online competition, do a quick website analysis of your site, and more. Once completed, we then put together a custom proposal outlining our suggestions along with deliverables. Once a proposal is accepted, we begin work right away. We have no long-term contracts, service is month-to-month in most cases. Click here to schedule a free consultation now!